The venue for this Penang World Music Festival is not a conventional hall used by all other arts festivals before this. Most arts festival will use the Dewan Sri Penang next to the Esplanade as a venue for the performances. It is a hall built to create a theatrical acoustic for greater experience. However, the Penang World Music Festival is at a very different, unexpected venue. It is at the Quarry Park of the Penang Botanical Garden. It is an open space venue, backed by a lovely stone hill which is a natural acoustic system that allows a beautiful performance in a relaxed setting. It is truly surprising that the Penang State Government will be able to identify such a unique venue and successfully make it into an annual event that everyone looks forward to. What can you expect from this lovely festival that draws crowds, both young and old, with all their smiles written on their face as they attend this festival? There are a lot to expect, because it is a festive celebration of enjoyment and harmony, not only in the music, but in the use of music to bring people from all the world together as one in this tiny island called Penang. There are performances from Australia, India, China, Korea, Africa and of course, Malaysia. When the festival was held for the first time three years ago, many people were not expecting it to be a success. Some parties were skeptical about the possible success of such an event, but Penangites love arts and culture, and was enthusiastic about the first Penang World Music Festival4 years ago. And now in 2012, it is the fourth year that this event is being held, and everyone is still as enthusiastic about it, if not more. Penangites are a peaceful lot, so a celebration that brings the message of peace and harmony certainly attracts many, especially music lovers. Even those who do not know much about music can certainly benefit from this by just appreciating the melodious harmony of the beautiful music. 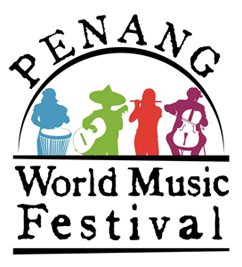 The Penang World Music Festival is just one of the many international events that the new state government initiated since taking over the management of the island, which was almost stagnant, in an attempt to bring it back to life. There are a lot of other events which had been created to bring more attention to the island, to get back the shine of its name as the Pearl of the Orient. Most of the time, these events may be tied to some of the bigger corporations with businesses in Penang, and the Penang World Music Festival 2012 is connected to the Ministry of Tourism and Culture together with KDU, Virtual Malaysia and Hard Rock Hotel. Hard Rock Hotel is the official hotel for this event. With the success of the event year after year, sponsorship can be gotten more easily, and the increased contribution is definitely going to help make things even better and much more interesting for the event. The event has the full support from the state government under the Chief Minister, Lim Guan Eng and the EXCO for State Tourism Development and Culture, YB Danny Law Heng Kiang. Since Penangites are music lovers, what are the original music that comes from this lovely island? There are plenty, of different ethnic groups and cultures, and among them are Boria, Chinese Opera, Chinese Orchestra, Malay Gamelan, Make shift Music Performances and the modern influences of Western musical instruments such as piano, organ and violin. There are also several renown musicians and composers in Penang, and one of them is the late Tan Sri P.Ramlee, a very popular musician and comedian that brought the golden era of Malaysia's movie industry even during the black and white film era. His residence is still standing in the island, with a collection of his photographs and works within to create a museum for the new generation to appreciate the works of this great man. Other than him, two other composers include Razak Aziz and Law Shih Min. Penang also have its own orchestra team, the Penang Symphony Orchestra. This entry was posted in Tourism & Leisure and tagged George Town, Georgetown, Hard Rock Hotel, Penang, Penang Botanical Garden, Penang World Music Festival, Penang World Music Festival 2012, Tourism, World Festival Music by admin. Bookmark the permalink.